Force Bill: Andrew Jackson was the 7th American President who served in office from March 4, 1829 to March 4, 1837. One of the important events during his presidency was the passing of the Force Bill during the Nullification Crisis. Summary and definition: The 1833 Force Bill extended executive power and was designed to deal with the actions of the South Carolina legislature who had passed an Ordinance of Nullification declaring the Tariffs of 1828 and 1832 null and void within the state borders of South Carolina. 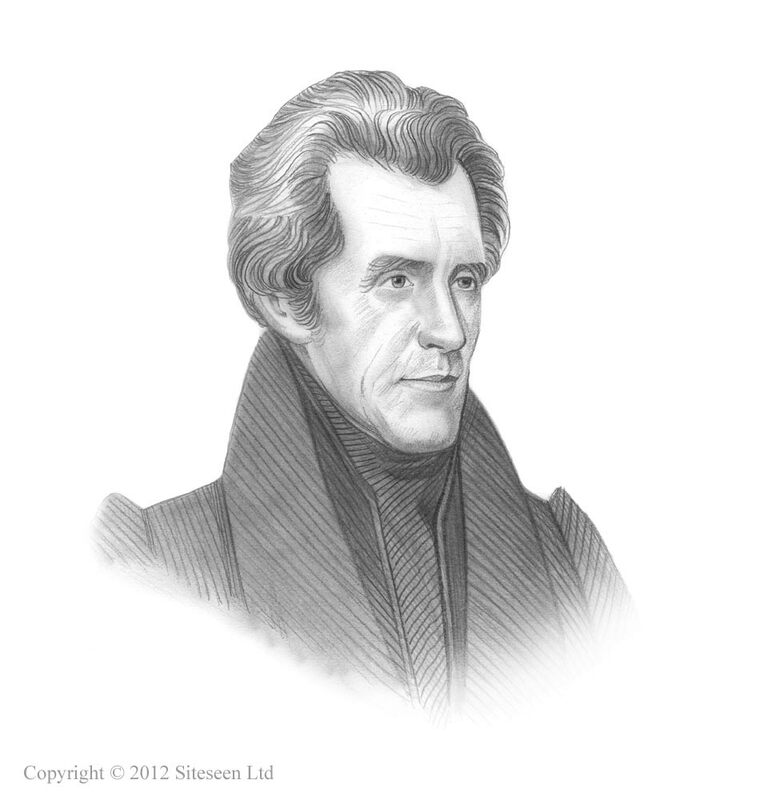 The Force Bill authorized Jackson to use military force against any state that resisted the protective tariff laws. The Force Bill also rejected the Nullification Doctrine which was the concept that it was within individual states' rights to nullify federal law or to secede from the Union. The Force Bill was passed by Congress on March 2, 1833, during the Nullification Crisis and authorized President Jackson to use military force against any state that resisted the protective tariff laws. The Force Bill extended executive power. What had led the President to take the drastic action of passing the Force Bill that authorized the President to use whatever force necessary to suppress insurrections (rebellions)? The Force Bill was passed by President Andrew Jackson following the actions of the South Carolina legislature in response to a series of protective tariff acts. These laws (taxes) were designed to raise money and protect the nation's goods from cheaper priced foreign items. These tariffs were opposed by the states in the South, which being predominantly agricultural, and reliant on the North and foreign countries for manufactured goods, saw the protective tariffs as damaging to their state's economy. South Carolina were particularly fierce in their opposition and declared the tariffs were unconstitutional. Refer to Tariff of 1816 and Tariff of 1828 (the Tariff of Abominations). The Nullification Crisis exploded. President Jackson was furious that the Tariffs had been "Nullified" by South Carolina and threats of succession had been made. Jackson issued a warning that he was prepared to enforce the law. It was called the Nullification Proclamation. Vice President John C. Calhoun resigned and the Nullification Crisis worsened. President Jackson asked Congress to give him greater power and on March 2, 1833 the Force Bill was passed. The purpose of the Force Bill was not only to use military force to enforce the tariff laws but it also rejected the Nullification Doctrine - the concept of individual states' rights to nullify federal law or to secede from the Union. What did the Force Bill authorize? "An Act further to provide for the collection of duties on imports"
Section 8 of the Force Bill is a 'Sunset Clause' stating that the "first and fifth sections of this act, shall be in force until the end of the next session of Congress, and no longer." The Force Bill clearly stated the lengths that the government were prepared to go. The South Carolina legislature was about to nullify the Force Bill as well. However, a Compromise Tariff, proposed by Henry Clay, was passed by Congress in March 1833 that gradually lowered the tariff rates over the next 10 years. The Compromise Tariff was accepted by South Carolina and the Nullification Crisis was brought to a conclusion. "first and fifth sections of this act, shall be in force until the end of the next session of Congress, and no longer."